DID YOU KNOW YOU COULD BUILD YOUR OWN BOAT? People build all sorts of things. Some build toys or assemble clocks, while the more ambitious have been known to build houses, put together cars from parts and pieces, or even make an airplane that can really fly. Yet when it comes to recalling someone who built his own boat, we’re often reminded of the proverbial fellow who built a boat in his basement and couldn’t get it out the door. In short, the amateur boatbuilder is often looked upon as some kind of “nut”. The fact of the matter is that literally thousands of these “nuts” DO attempt building their own boats each and every year. 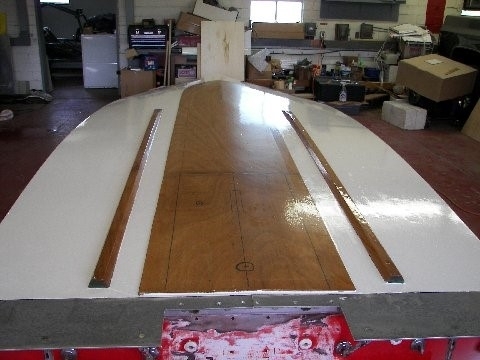 And contrary to the popular boating press which tends to elevate boatbuilding to a level of technical sophistication well above the abilities of mere mortals, most of these builders DO succeed. How do I know? Well, I’ve gotten into the habit of eating on a regular basis over the last 20+ years, and it’s these assorted “nuts” who have made it all possible. 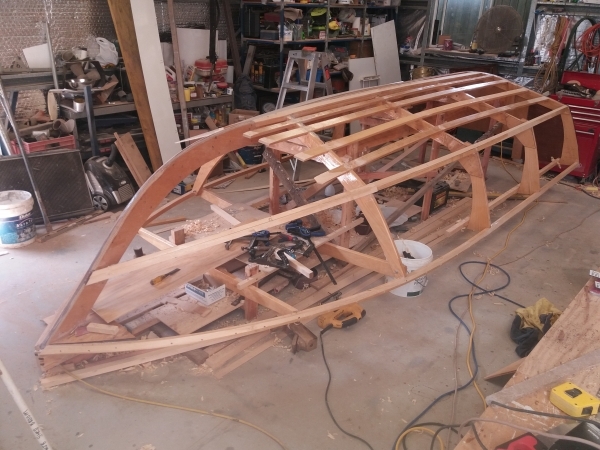 I’m what’s known as a “small craft designer“, and providing the “stuff” which makes the dreams of amateur boatbuilders come true is my game. 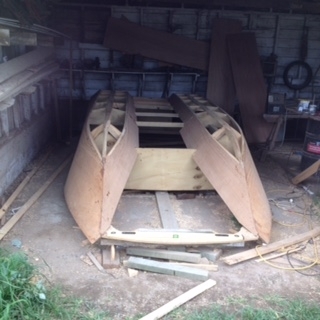 You may well ask, what’s so appealing about building your own boat? The obvious answers, such as saving money (which we’ll discuss shortly), and getting a boat the way you want it, come readily to mind. But there are less visible aspects which I’ll point out that you may find intriguing. For example, let’s take the issue of personal freedom and self-expression. Building your own boat is one of the few remaining realms which has not been choked and stifled with red tape and bureaucracy. 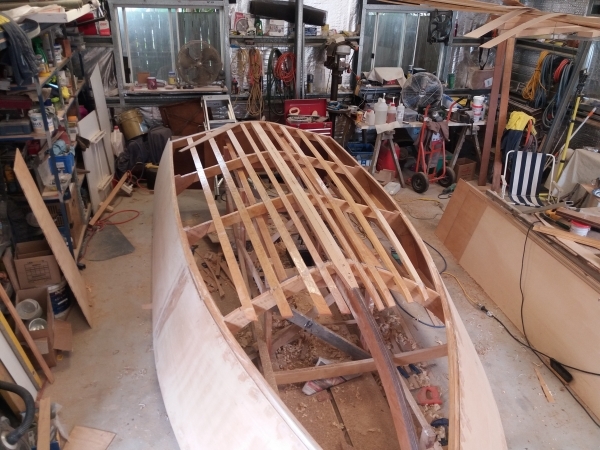 Building your own boat does not require a building permit, a license, any “approvals”, or inspections as is mandated in other pursuits of comparable magnitude. 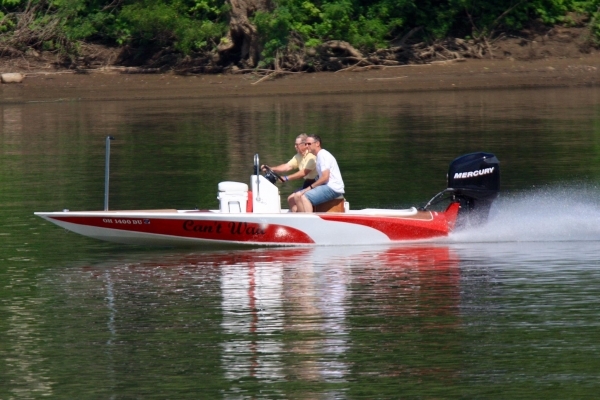 The amateur boatbuilder is largely left to his own devices without interference. Indeed, building your own boat is an act of self-reliance, individual initiative, and a proclamation of your liberty. In short, it’s downright AMERICAN! But don’t think that you have to be a “rugged individualist” in order to successfully build your own boat. There are more important qualities. For instance, I think the MOST important personality trait is simple perseverance, or what some call “stick-to-it-iveness”. If you’re the type of person who gives up easily, who is impatient, or flits about from project to project but never completes one, then building your own boat may not be for you. If you’re not sure about these qualities in yourself, the best advice is to start small first and see how it goes. While we’re talking about personalities, I’ve noticed over the years that a certain type of person usually does well at building his own boat. These are the “scroungers“, the ones who poke around at garage sales, go to “swap meets”, go “bird-dogging” for the bargains, and let their fingers do plenty of walking through the yellow pages. They’re the builders who have planned their projects carefully and know well ahead what they want and need. They’re also the builders who save a bundle as a result. Yet, if saving money is the ONLY reason you can think of to build a boat, this could be your downfall. While saving money IS certainly important to most, and may help you obtain what you otherwise could not afford, I think that what I call the “therapeutic” aspects are often just as important. 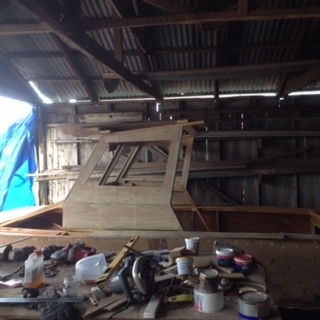 For example, boatbuilding is an act of creation, an act of doing something with your hands and your mind, resulting in something tangible and useful. 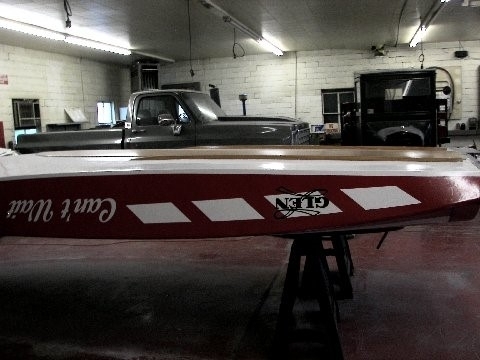 The sense of accomplishment and personal satisfaction of building your own boat is second to none. In fact over the years I have seen countless amateurs who have become “hooked” on boatbuilding as a result of these “therapeutic” qualities. While many started their first project primarily to save money, it’s amazing how many have turned around and sold their first, and immediately turn out a second, third, or more. It’s a great hobby and one an entire family can get involved with. You may be saying to yourself at this point, it all sounds great, and sure, it’s probably rewarding and all that, but what about skill and ability? Doesn’t it take more than the ability to walk and chew gum at the same time? Well, this might surprise you, but I think that skill and ability are secondary, and here’s one example why I feel this way. I have seen boats built SUCCESSFULLY by handicapped people in wheelchairs, those without all their limbs (including a missing arm or hand), and even by blind people; that’s the truth! 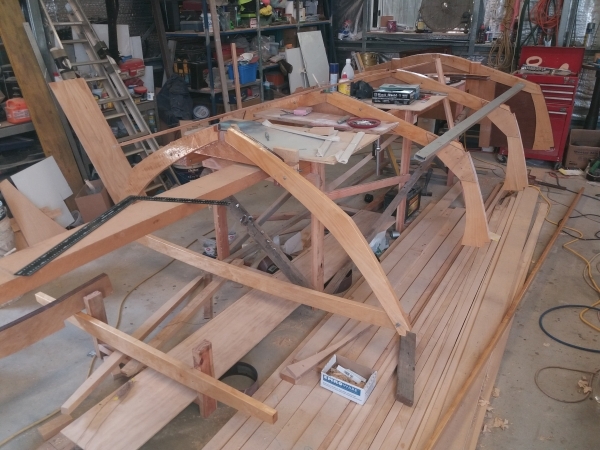 Assuming you start out your project with design products or services aimed specifically at the amateur, I don’t think there’s much need for higher skills such as those once required in the ancient past to build boats. 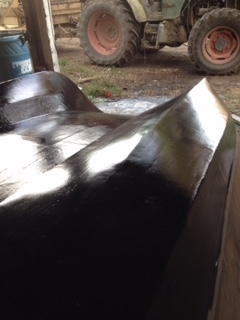 Modern materials and methods now available have put boatbuilding within the reach of just about anyone. And the few limited skills that you may not have now that may be required in certain types of boats can usually be learned quickly by most. Thus, if you have a reasonable ability to use basic tools, can follow instructions, and feel positive about all we’ve just discussed, there’s nothing to hold you back. A knee which mounts atop the stem to which the sheers attach.